As it is probable that I will not return to Pittsburgh3 before September4 I will just drop you a line to let you know that I am still in the land of the living. The Home Monthly5 has sold out6 and I have severed my connection7 with it, but I now expect to return to Pittsburgh this fall and try to get into general newspaper work8. I don't know just what chance there may be there for that sort of thing and if Mr. Seibel9 can give me any advice or information along that line I will appreciate it. Has Mr. Axtell10 settled11 with Mr. Seibel yet? If not tell him to go up and present his bill in person and insist on payment. And the sooner he does it the better. Axtell is too good a Christian to be trusted. I have several times given him an itemized statement of Mr. Seibel's account. It is fine to be at home again I can tell you. Jack12 has stamped brownies13 over everything I possess. He had grown so I scarcely knew him. My older brother14 and I are going on a little hunting trip15 out in the sage brush country of Colorado16 next week month. That is a land of big yellow moons, magnificent distances, Spanish herd boys and deserters from the English army, so we anticipate a "Kiplingy17" time of it. I picked up a little spoon for Erna18 down town the other day. There is not much to select from in this wild village where silver mounted six shooters form the principal articles of the jewelers trade. But such as it is I send it to her with many kisses,—and much love to you all. Drop me a note to let me know how the world goes with you. P.S. I have been reading Charles Lamb19's "Dramatic Essays"20. Pick them p up some time, I think they are the best articles on the stage ever done in English. Mrs. George Seibel1 114 S. 11th St.[?] [illegible] Pittsburgh3 Pa. Document is three leaves, handwritten on recto and verso of first and second leaf and recto only of third leaf. Verso of third leaf contains a handwritten address that is backwards. It is likely that this address bled onto this leaf from an envelope. 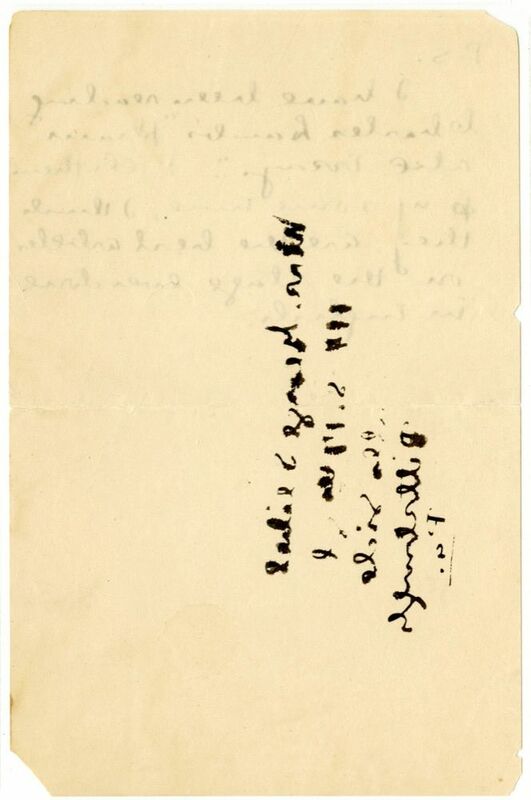 Cather wrote to Mariel Gere that she left Lincoln on 12 September 1897 (#0045). James Wickliffe Axtell sold his interest in The Home Monthly to Thomas Edwin Orr in June 1897 and left Pittsburgh to pursue his religious vocation as the manager of the Cumberland Presbyterian Publishing House. Cather worked as the unofficial managing editor of the Home Monthly magazine, owned by Axtell, Orr, and Company, from July 1896 until June 1897. The Home Monthly office was on Shady Avenue on the east end of Pittsburgh. Cather worked as a day telegraph editor and drama critic for the Pittsburgh Leader, which had offices on Pittsburgh's Fifth Avenue, from September 1897 to the spring of 1900. Seibel frequently contributed to The Home Monthly. The "Brownies" were a series of cartoon characters developed by Palmer Cox and immensely popular with children in the 1880s through the early 1890s. A group of small, mischevious men based on Scottish folklore, the Brownies first appeared in the February 1883 issue of St. Nicholas. These characters were the first cartoons to be used in mass merchandizing, as their likeness was reproduced into 7-inch toys, blocks, puzzles, bowling pins, rubber stamps, etc. 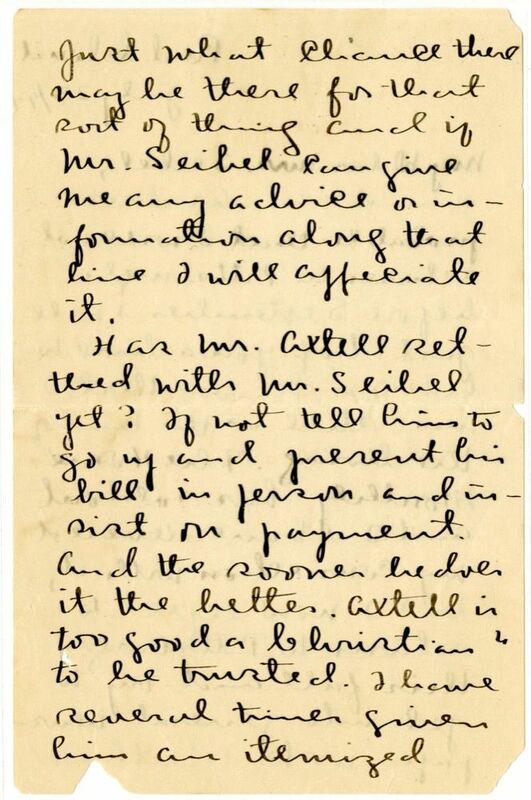 Cather wrote to Mr. and Mrs. Seibel that she left for the hunting trip on 9 August 1897 (#0041). Axtell, James Wickliffe (1852-1909). 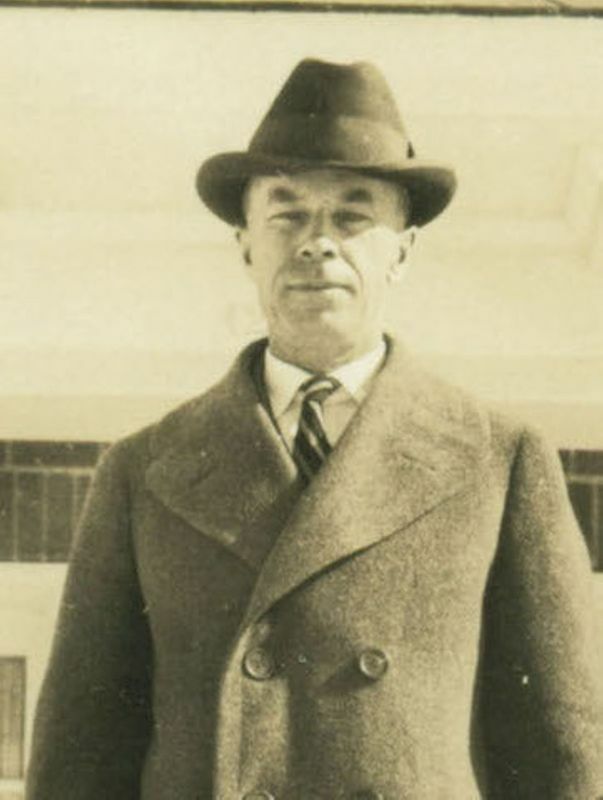 Partner in Axtell, Orr, and Company, owner of the Home Monthly. 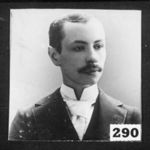 Born in Waynesburg, PA, the first son and third child of Reverend Philip Axtell and Eliza Gibbons Axtell, James W. Axtell graduated from Waynesburg College in 1870 and married Mary Minor in 1874, with whom he two children who survived infancy, Clara and Philip. 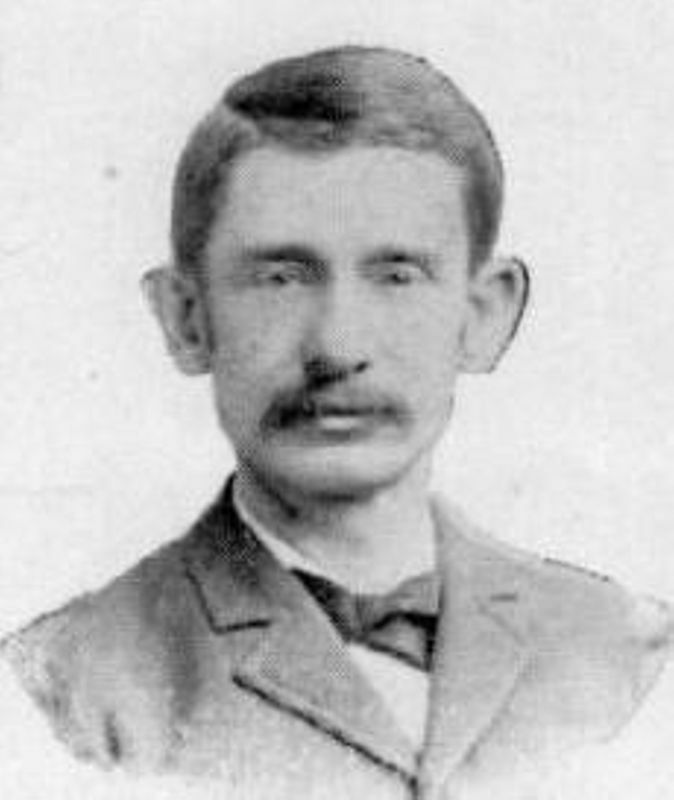 After establishing the Waynesburg Independent, Axtell moved to Pittsburgh, PA, in 1877 where he was a partner in the publishing firm Axtell, Rush, and Company, and founded the National Stockman and Farmer magazine. In partnership with Thomas E. Orr, Axtell purchased the Ladies’ Journal and changed the name to the Home Monthly. 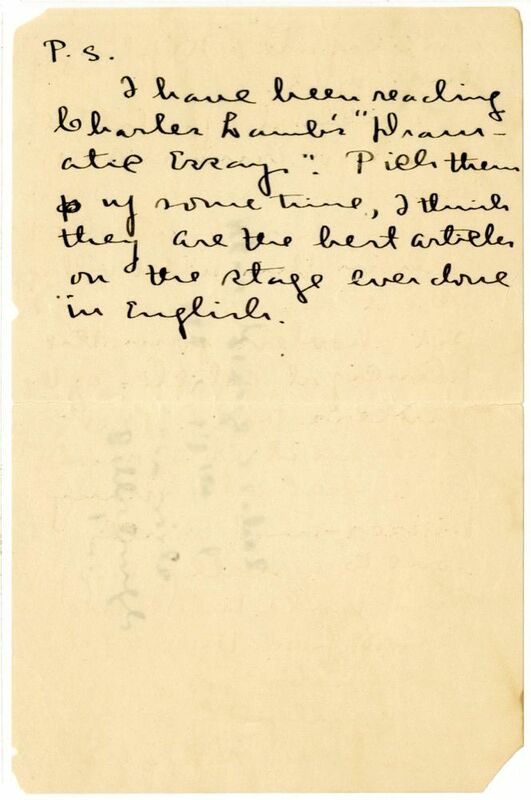 On the recommendation of Charles Gere, Axtell hired Cather to edit the Home Monthly. She stayed with the Axtells briefly on her arrival in Pittsburgh in June 1896 and edited the Monthly until June 1897. The Axtells left Pittsburgh for Nashville, TN, in 1899, where James managed the Cumberland Presbyterian publishing house until his 1909 death in Lincoln, NE, at the home of his daughter, Clara Axtell Poynter. Kipling, Rudyard (1865-1936). English fiction writer and poet. Born in Bombay, India, to English parents, Kipling was sent to England for his education but returned to India to work as a journalist. His poems and short stories about India won him an audience in England, and he settled in London in 1889. When he married Caroline Balestier in 1892, the couple moved to her home state of Vermont. 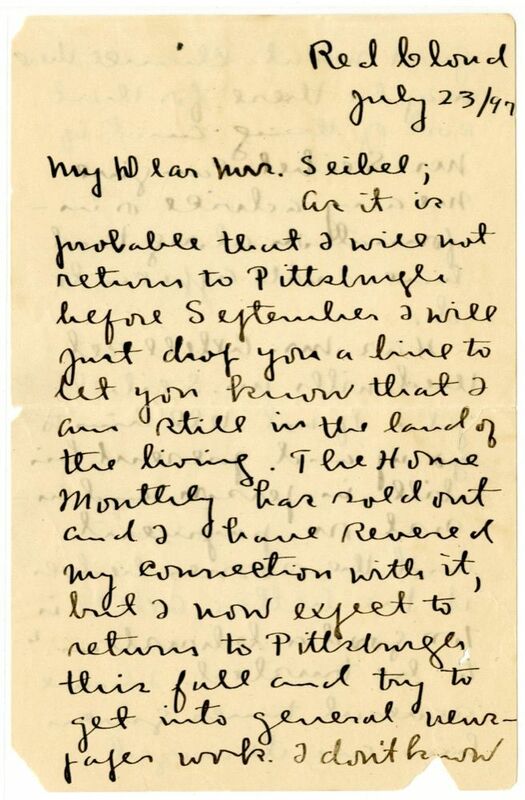 In 1896 Willa Cather claimed to have met Kipling and she described the “46 minutes” of conversation with him as “alone worth” her move to Pittsburgh to work for the Home Monthly (#0028). In 1899, Cather wrote a column about his career for the Lincoln Courier, in which she noted the irony of Kipling trying to “live a respectable Puritan life in Vermont and be a full-fledged family man,” urging him to “Go back east.” In 1899, he did leave the United States, but for London, not India, where he remained the rest of his life. 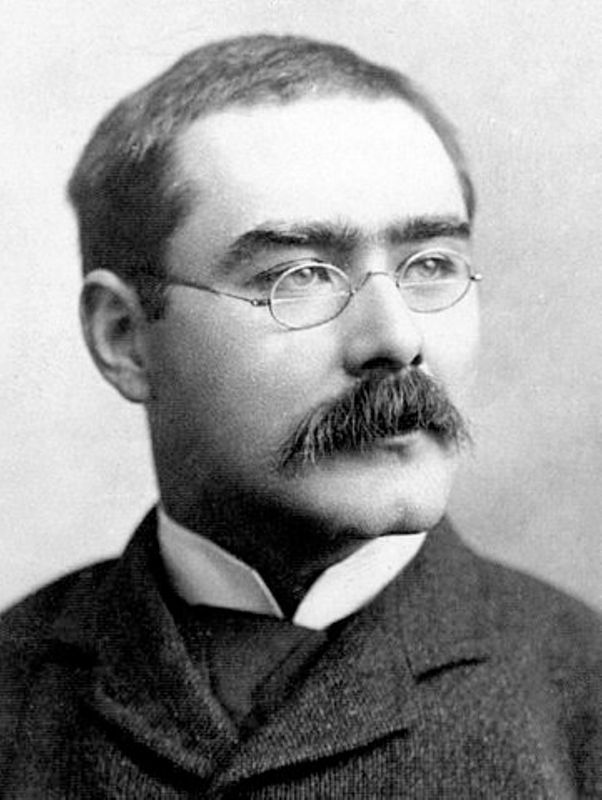 McClure’s Magazine published Kipling’s poem “The White Man’s Burden” (1899) and the novel Kim (1900-1901), paying him $25,000 for serialization of the latter. 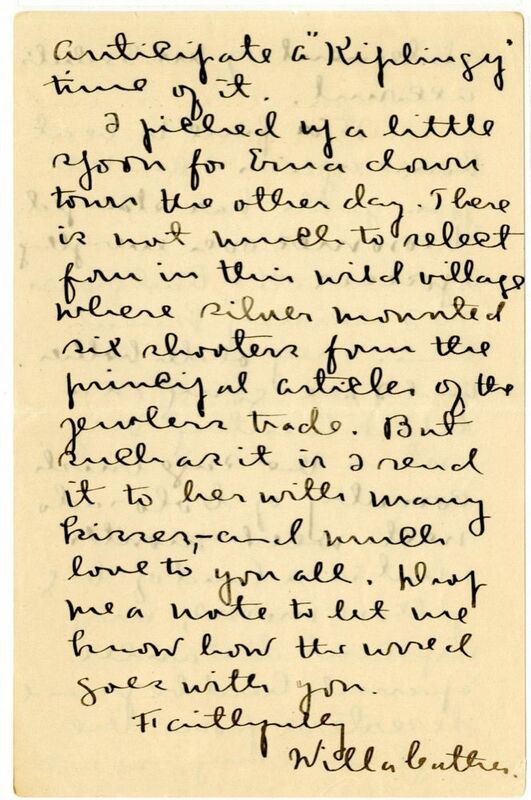 When Cather traveled to London on McClure’s business in 1906, she carried a letter of introduction to him, but it is not clear whether she met him again there. Throughout her life Cather expressed enthusiasm for Kipling’s works, which she associated with a spirit of adventure, and her letters make clear that she followed his life and career closely. Yorke, Erna Seibel (1897-after 1971). Daughter of Cather’s friends, George and Helen Seibel. Erna Seibel was born in Pittsburgh, PA; Willa Cather was a frequent visitor at her family’s home in her early childhood. She attended Carnegie Tech, studying art. About 1927 she married Cecil B. Yorke, a writer. They had a son, Duane, and lived in New York in the 1930s, later moving to Santa Cruz, CA. 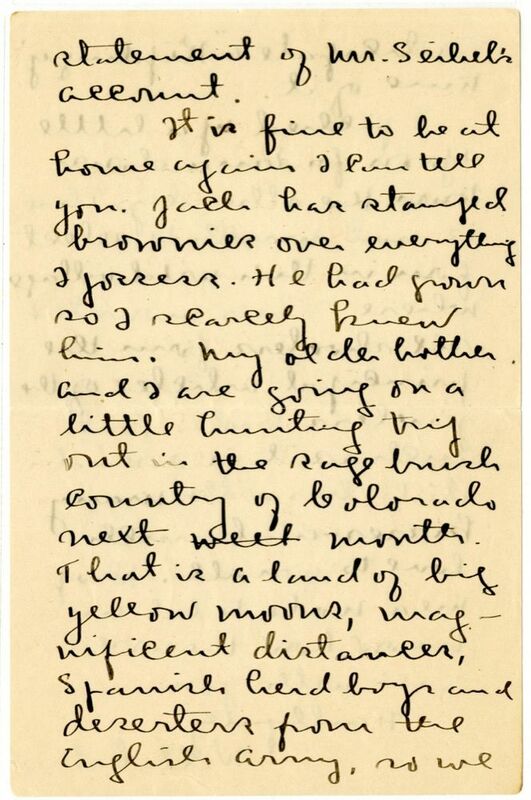 She donated the letters Cather had written to her parents to the Cather Foundation. Lamb, Charles (1775-1834). English essayist, journalist, playwright, and poet. Born in London, England, to John and Elizabeth Field Lamb, Lamb was educated at Christ’s Hospital, a charity school, until 1789. There he met Samuel Taylor Coleridge, who became a lifelong friend. In 1792, Lamb became clerk with the East India Company, a position which he held for thirty-three years, while also writing poetry, plays, and essays. He is best known for his essays, first published in the London Magazine and collected as Essays of Elia (1823) and The Last Essays of Elia (1833). Lamb is considered to be the first Romantic essayist. Cather read and appreciated Lamb’s work.